Happy 20th Birthday to Google! The search giant marks 20 years of innovation, including many new ways for brands to reach their audiences. We dive in with a brief history of Google Search, their evolution, and future of search marketing ahead. 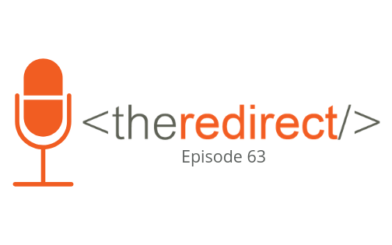 As much as we all can sit here and curse many of the moves that Google makes, if it were not for them, we wouldn’t have such a robust community centered around SEO; The Redirect Podcast wouldn’t be a thing; and we wouldn’t be here talking with everyone about search marketing to help brands grow online. You cannot argue the fact that pretty much one company has single-handedly connected the world on its quest to organize information. So thank you, Google. At the 20th Anniversary and Future of Search event that was held this week, Google revealed their areas of focus for the future of search. We dive into each of these areas a bit more in the podcast. This news of more “on-SERP” features calls to mind the conversations when zero-result SERPs were being tested, especially the great in-depth article from Dr. Pete of Moz on “Google’s Walled Garden” that was published around around then. (We also discussed this in Episode 38 back in March). Also announced this week were advancements related to travel planning (similar to Collections), and group planning via creating shortlists on mobile. Plus, the Google Feed is becoming Google Discover. This customized and customizable feed used to be only on the Google or Chrome apps on mobile devices. Now it will appear for logged in users at google.com on ALL mobile browsers. We wrapped up the episode with a quick discussion of “neural matching,” also new-ish to the Google search landscape. Learn more from recent coverage at Search Engine Journal.